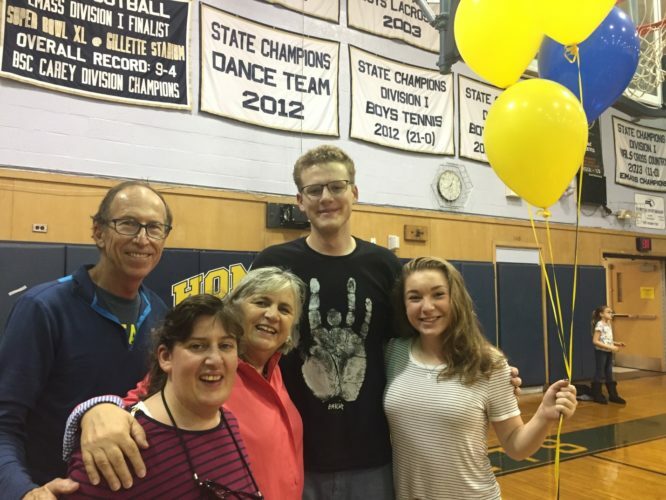 Representative Denise Garlick and her family join Needham High school senior and 5th Quarter DJ Mike Alberding and NHS student and 5th Quarter volunteer Alison Biedron in setting up the NHS gym for the October 21, 2016 5th Quarter. Although the football game was delayed until Sunday due to bad weather, students came in from the rain to enjoy free pizza and drinks, live music, raffles, ping pong, basketball & foosball. Representative Garlick was thrilled to sponsor this event which is mean to promote an after game activity that where students can have fun with their friends in a safe environment and foster in them the idea that fun can be had without the presence of alcohol and other illegal substances. Needham’s 5th Quarter was developed by the Needham Coalition for Youth Substance Abuse Prevention (NCYSAP), a program of the Needham Public Health Department. 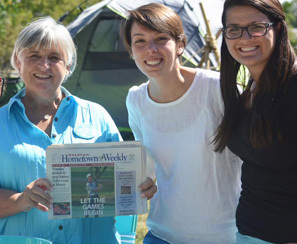 The 5th Quarter events are held after Friday night high school football games when hundred of teens are in attendance. High school students are invited to come to the school gym after the game to support each other win or lose in a fun, substance-free environment. Go Rockets!